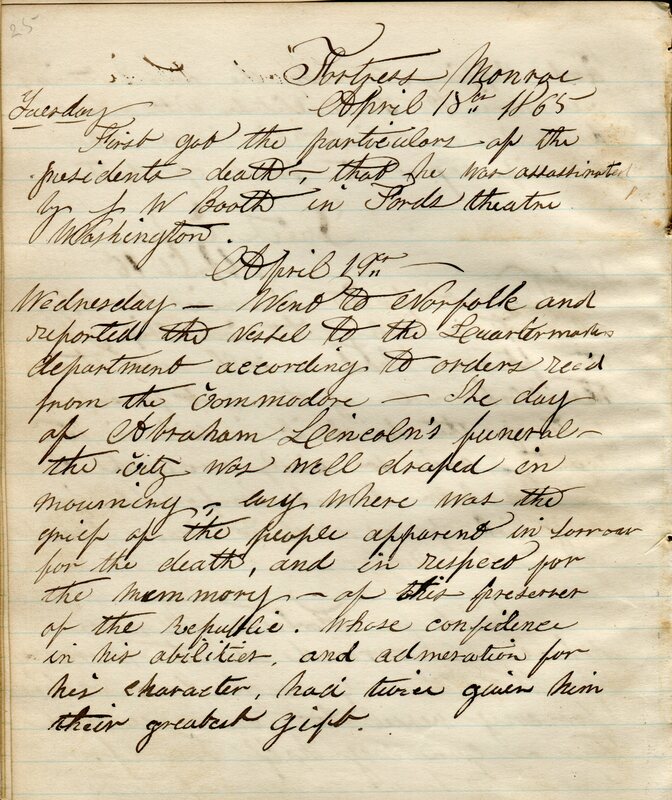 On May 17, 1843, Mary Cushman wrote her husband, Capt. David Cushman, “Mr. W is building a new house for Black Bill & Frank (by the way, Frank has got him a wife) it stands or rather it is going to stand back of the Widow Peterson’s.” The house Mary Cushman was referring to is the double house at 35 Pine Hill Lane. “Mr. W” was Gershom Bradford Weston, easily one of the wealthiest men town. He was the son of Ezra “King Caesar” Weston, II and in 1843 was the co-owner of the Weston fleet of merchant vessels, along with his two brothers. Gershom’s estate was on St. George Street and included a grand house that would one day be known as the Wright Estate (torn down in the 1960s to make was for Duxbury High School). Weston employed a number of staff, including African Americans, Bill Sherburne (coach driver) and Frank Pride. It was for them that he built a house on his property. The house remained as part of the Weston and later, Wright, estates before being separated out in the mid-20th century. Frank Pride, Jr. (1818-1896) was born in Salem, MA, the son of Frank Pride, a sailor from Kingston, and Mary Munson of Salem. 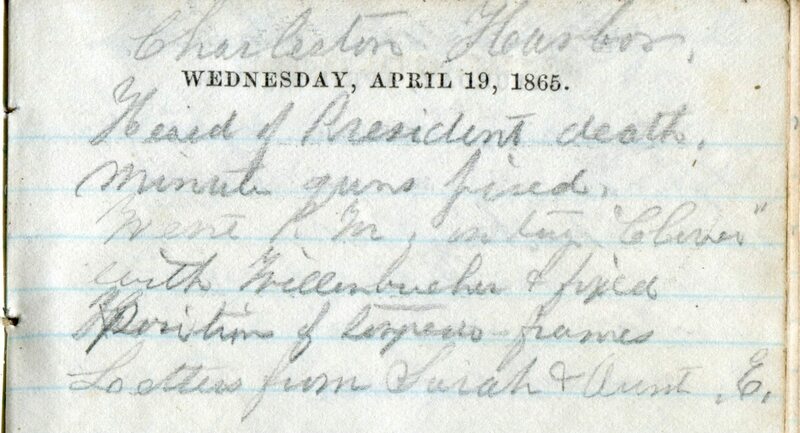 On April 2, 1843 he married his first wife, Ann Benson of Framingham – it is Ann that Mary Cushman is referring to in her letter. Although no death record has been found for her, she must have passed prior to 1849, when Frank married his second wife, an Irish immigrant named Bridget Galvin. Frank and Bridget later purchased their own cottage on Powder Point Ave. There is only one account that mentions the Pride’s interracial marriage, in a reminiscence of her childhood in Duxbury, Mary Chilton Steele wrote, “the strangeness of a marriage between a white woman and a colored man never seemed to have received comment or notice.” They had no children. Frank appears as a farmer or farm laborer on most census records. William H. Sherburne (1814-1862) was born in Charlestown,MA. In 1843 he was already married to Hannah Fuller (1821-1845) and his second child was on the way. Hannah was another member of Duxbury’s black community- she was the daughter of David Fuller and Hannah Williams. Prior to her marriage she had worked for the Ford family, the owners of Ford’s Store, where she helped take care of their children. After William and Hannah married, they built their own home own home at 1112 Tremont Street, but sold that property in 1842. Sadly, Hannah died in 1845 of consumption at age 23, leaving William with two little daughters, Hannah and Ann. She is buried behind what was then the Methodist Church on Washington Street. Her epitaph reads, “my husband and my children dear, I now can leave without a tear.” William remarried in 1849, perhaps a cousin of his first wife, Mary Ann Williams, and had three more children. It is quite possible that David Fuller (1788-1870), the father of the aforementioned Hannah Fuller Sherburne, also resided for a time at 35 Pine Hill. The 1850 Cenus Record shows him living next door to Gershom B. Weston, which would have been the right location for the house. David Fuller (1788-1870) was married to his third wife, Sylvia Prince, at that point. There is more to be said about Sylvia Prince in a future post. 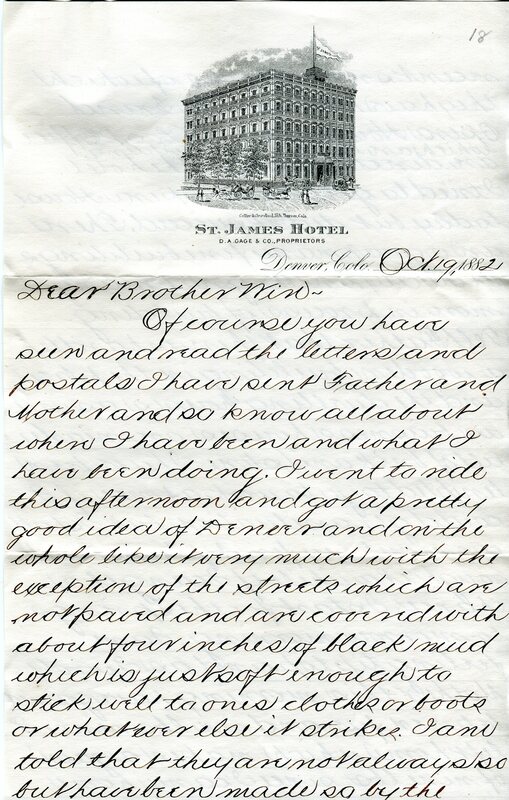 Letter from Parker F. Soule to his brother, Winthrop P. Soule, soon after arriving in Denver, Colorado. 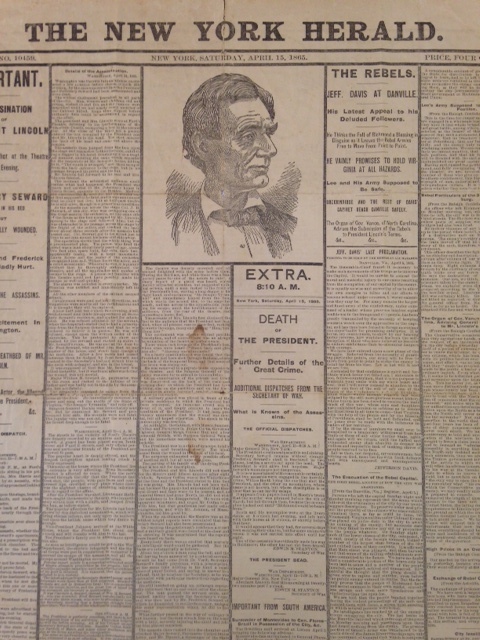 Oct. 19, 1882. In October, 1882 a frail young man named Parker Fernando Soule checked into the St. James Hotel in Denver, Colorado. He was thin, just over 130 pounds, and most likely exhausted from his long and arduous journey from Boston. He had come, like thousands of Easterners before him, to find relief from the debilitating symptoms of tuberculosis. Known at the time as consumption because it slowly seemed to consume its victims, the disease had no known cure. Doctors, believing the arid climate of Colorado would alleviate their patients’ suffering and perhaps prolong their life, prescribed them to go west and rest. At the time of his diagnosis, Parker was just twenty years old. It appears he was first sent to a sanatorium in New Hampshire, but this must have proved unsuccessful. Prior to that time he had spent most of his life in the towns surrounding Boston. He was born in 1861 to Lawrence P. Soule and Mercie B. Eldridge in Foxboro. His father, a native of Duxbury, MA, soon moved the family to Lawrence, MA where he became a successful mason and contractor. After the Great Fire of 1872 in Boston, Lawrence Soule relocated his family to Cambridge, MA where he could more easily become involved in the rebuilding of the capital city. In 1879 the Soules moved into a substantial brick house at 11 Russell Road in North Cambridge that still stands today and is on the National Historic Register. Parker and his siblings, Winthrop, Laura and Florence (Daisy) had all been well educated and, judging by the number of party invitations they received, quite popular. His illness must have been a shattering blow to this close-knit family. Within eight months of his arrival in Colorado, Parker F. Soule was a new man. The dry western climate had seemingly cured him of tuberculosis. His tan, fit 160-pound frame would have been unrecognizable to his family back home. While he despaired that he had not earned much money, he wrote his brother, “I have secured in a great degree what I am out here for – my health. I never felt better I am sure in my life…” It was at this point that Parker also became a true cowboy. He had herded sheep on the Pope Brothers ranch and found it a distasteful occupation. But herding cattle was another matter altogether. The life suited him perfectly. He went out with the cows by 7am, came home to dinner at noon and then headed back out to “round them up” and bring them back to the corral. Often he was required to “cut out” a wild steer or bull, using his newly acquired riding skills. While out with the herd he would lie in the grass or read while his pony grazed nearby. His day was usually done by 4:30pm. He also became adept at breaking in wild colts. 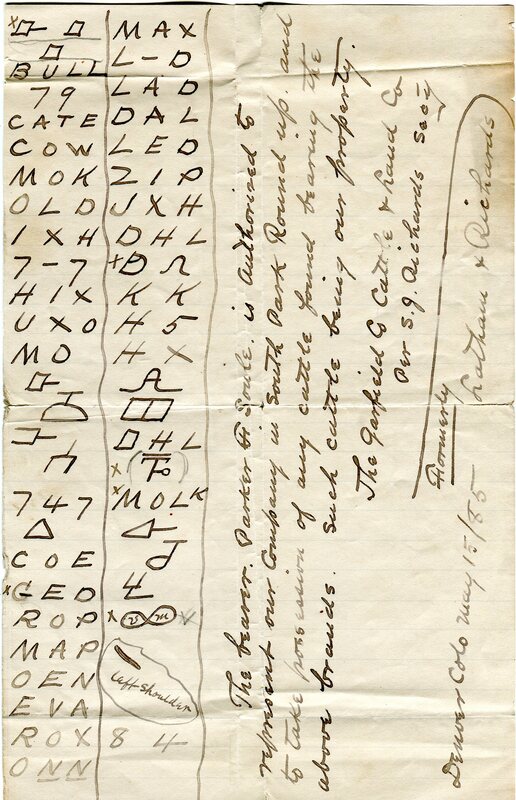 Instructions from Selden J. Richards to Parker F. Soule with brands to be found at the South Park Round Up, 1885. His talent as a cowboy and his overall health can be judged by his leading the South Park Round up for the Grand County Cattle and Land Company in July of 1885. Cattle at this time were left to graze freely over a vast range, miles wide, during the winter months. Left to their own devises, cattle from various herds would become mixed together. Round ups occurred in the spring or early summer months when the cattle would be separated once again and driven home. Brands allowed cowboys to pick out those cows that belonged to their ranch. Any new calves would be branded at this time as well. The list supplied by Selden J. Richards, Parker’s employer, shows just how many brands needed to be recognized in order to separate individual cattle from a herd of thousands. After the round up, Parker may have gone to find lost cows that had wandered as far as the Blue and Grand Rivers, twenty miles away. 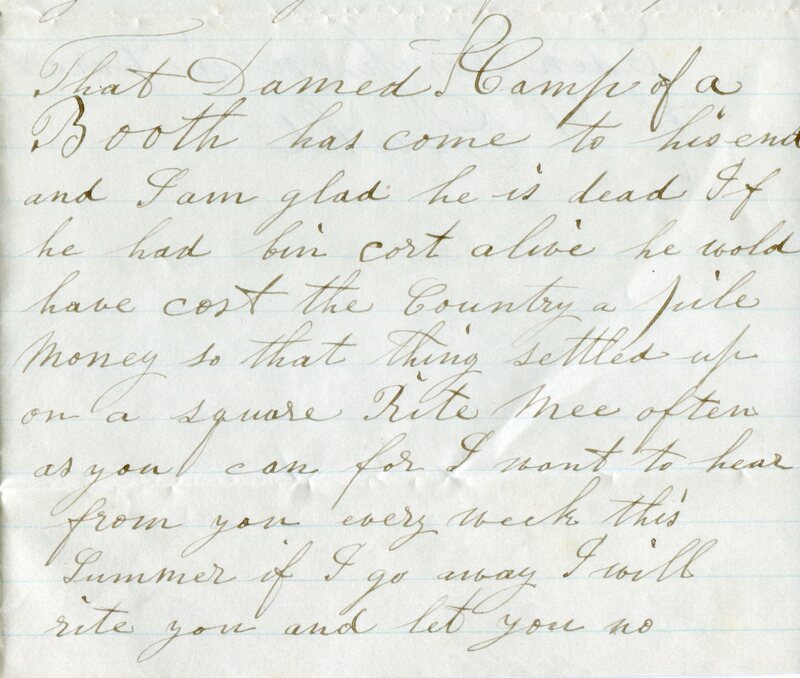 Winthrop Soule was impressed enough with what he saw that he seriously considered going into the cattle business with his younger brother. 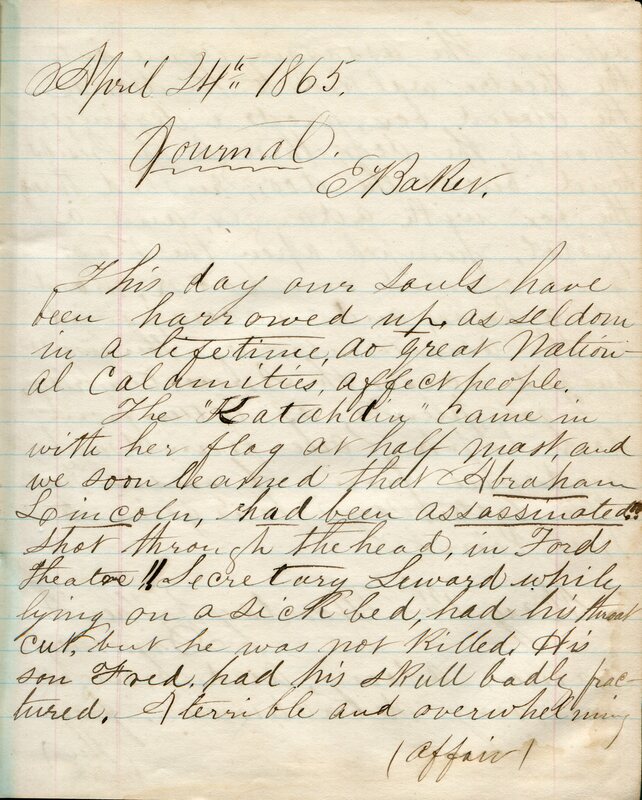 In a letter dated Sept. 21, 1885 from Boston he asked Parker to let him know if the plan was feasible. It was apparently not. Instead, Parker returned to Massachusetts by the end of 1885. The reason for his giving up his life in Colorado is a mystery, although love may have had something to do with it. It is just as well that brothers did not invest in their own ranch. The harsh winter of 1886-1887 caused what is known as the “Big Die-Up” of cattle which killed 90% of the herds, millions of cows. The mild winters experienced during Parker’s time in Colorado had led ranchers to erroneously believe that cattle could survive foraging on their own across the plains during the winter months. When the severe winter left feet of snow on the plains and temperatures well below freezing, the cows starved. Encroaching civilization, overgrazing and an economic downturn also contributed to the collapse of many firms. Ranching, as Parker had known it, became a thing of the past. 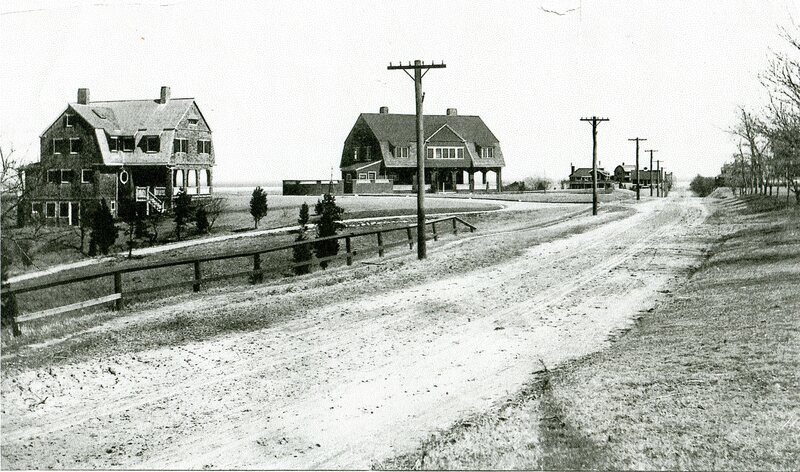 Summer homes of Parker F. Soule and Lawrence P. Soule at 236 and 244 Powder Point Ave., Duxbury, MA. Built 1897-1899. Parker F. Soule was married on February 25, 1886 to Luceba Dorr Kingsley, the daughter of wealthy politician and philanthropist, in Cambridge, MA. Two days later, on his ranch in Colorado Springs, Parker’s former host, Herbert W. Pope, succumbed to the disease that Parker had so fantastically evaded. Parker would not take his second-chance at life for granted. In 1887 he joined his father in business and together, as L. P. Soule and Son, they were responsible for constructing many of the buildings that dotted the Boston city skyline, including the Shawmut National Bank, the First National Bank, the Commonwealth Trust and the Boston Stock Exchange Building. Some of the beautiful Boston Back Bay and Brookline homes of the era were built by them as well. Parker and his first wife had one daughter, Priscilla Bradford Soule (1897-1986). After Luceba’s death, Parker married Julia Ann Whitten in 1904. Together they had Parker F. Soule, Jr. (1907-1975) Lawrence P. Soule, II (1909-1959) and Julianna W. Soule (1912-1969). The family lived at 49 Hawthorne Street in Cambridge but during the summer months they spent time at their vacation compound on Powder Point Avenue in Duxbury, MA on land that Parker’s progenitor, the Pilgrim George Soule, had once owned. Defying all odds, Parker F. Soule lived to be eighty-nine years old, dying in 1950. He is buried along with his family in Mayflower Cemetery in Duxbury. Letter cited are found in the Parker F. Soule Collection.